The COUNTERCOLUMN points out that the US military effort to place stories in the Iraqi press is not only legal but required by Joint Service doctrine. Relevant passages occur in Annex D to Appendix B (Guidance for PSYOP Operations) and page 29 or so and following. The guidance is very clear: IO operations should be an integral part of planning at all levels - strategic, operational, and tactical, and that IO operations include a PSYOP component, and PSYOP operations should be coordinated with Public Affairs. The doctrine also makes it clear on page 29 that news media outlets are an increasingly important part of that battlefield. The doctrine also makes it clear at several points that the general host nation population is a legitimate target for Information Operations. It was ever thus. The only thing the doctrine prohibits, with regard to working with foreign media, is using the media to print false information. During time of war, all else is fair game. Greyhawk at the Mudville Gazette, however, is not comforted because he's too busy being shocked by the latest outrage. Congratulations to those of you who are still reading - obviously you expressed your outrage by smashing something other than your computer screen. When will the Bush administration learn that it has no business supporting its policies? You know, this is one of those things that wouldn't have happened if everyone weren't so eager to write boooks about their role in public affairs. If you could rely on people's professionalism, you wouldn't have to worry about their personal sentiments. It has become usual for every public official who attains any sort of prominence to write tell-all stories the moment they leave their posts (or sometimes before, as in the case of the "Anonymous" Mr. Scheuer). These things have different titles and authors, and they suggest different solutions to common problems. Nevertheless, every one of them could have had the same subtitle: "Why I'm right, and everyone else in the government is dead wrong." No one writes to express support, or to proudly explain their role in helping bring about successful policies. Everyone starts with the assertion that successful policies would have been much more successful if only people had listened to them, and that failed policies were a direct result of people not listening as well. When you've been hit by one book after another of this type for five years, I'm sure you do get a bit gun shy. "Before we appoint this fellow to a critical position in the GWOT effort," you'd say, "We might as well start planning now for his expose. Find out whether it's going to say we're pawns controlled by a Jewish cabal or a domestic cabal, and also see if you can learn if he thinks we're trying to undermine his department because we are guilty of some secret plan to take over the oil supply, or if he just thinks we're undermining his department because we're morons." "But we aren't undermining his department," your underling would point out. "After all, we're about to appoint this guy to a critical position in our war effort." *Sigh. * "You just don't get D.C. politics, do you son?" Everybody's posting gift guides. I'll just repost a link to my favorite of them, No-Longer Drill Sgt. Rob's gift guide for deployed soldiers. Lots of men would like gifts off this list even if they aren't deployed military. I commented on it a year ago, and endorsed his choice of an Applegate-Fairbairn folder. A year later, I still carry that knife every day. It's the best folding knife on the market, I think -- certainly the best one I've encountered. Here are a couple more "pointy" gifts. They're from a category called "custom knives," which means knives that are each individually forged by a smith who knows his business. They're works of art as much as tools, though in order to be a work of the knifemaker's art, they have to be entirely functional and very difficult to damage. I am the proud owner of a "Stek" knife, which are hand-forged damascus steel, and sold apparently only through Ebay. (Here is what they're selling just now.) It's the most beautiful knife I've ever encountered, and the best by far. The man and his son, who work together to create these things, are masters of the art. Because items are for bid, price is not certain, but I wouldn't object to paying two-four hundred dollars for one of their full-sized fighting knives if I were planning to buy another. That's about usual in the market for a custom knife, and these are top quality. However, because it's on Ebay, you might get it for less if you're quick or careful. Shoot! Magazine, a publication devoted to the "cowboy action shooting" hobby, endorsed ML Knives in their Nov/Dec edition. They're beautiful replicas of 18th/19th century designs. The article gives specs on the carbon steel he uses, and they sound like quality blades -- but I've never handled one, so I can't attest to them for certain, but only pass on Shoot! 's recommendation. (If anyone from ML Knives wants a formal review out of me, however, feel free to send me a Western or Alamo Bowie to examine.) A glance at their page of currently available knives shows that prices are quite reasonable for custom-made knives. That may be because they aren't as well known as some, or it may be because they target a very specific market, people who want a frontier-style knife that appears somewhat rustic. I happen to like that sort of thing, but it's not what everyone wants. There are much more expensive custom knife makers out there -- take a look at KnifeLegends or KnifeArt to see just how high the prices can go. You can get a top-quality knife for a whole lot less than what they are asking, if you know where to look. It's bad enough that the AP decieved Barrett Rifles as to its purpose in soliciting an interview. It's worse that they then ran a story filled with inaccuracies ('penetrating tank armor from a mile away'), 42% of which was drawn directly from gun-control advocates, including only one quote from Barrett after they taped a long interview with him. It's worst that Military.com picked up the story and ran it without comment. The AP editors can get away with saying that they know nothing about firearms, and so couldn't spot the bad information (and bad faith) from their reporter. Military.com has no such excuse. * I guess those terrorists will just hide it under their coat and smuggle it into the airport. Please. This thing is huge, heavy and expensive. Just exactly how many have been recovered from crime scenes? How many have actually been used in the comission of a crime? * I'm a federal police lieutenant and a member of the Police Marksmanship Association. I do not have a problem with civilian ownership of these firearms or the Title I & II weapons out there. What people forget is that the same folks who are attracted to legal, registered full auto weapons, sound suppressors and artillery pieces also are generally the folks buying the Barrett M-82's and M-95's. We have yet to see a single criminal incident with a .50 caliber rifle. * No Barretts have ever been used in a crime. Not once, not ever. They weigh 30 lbs. Shoot down a plane? With a semi-auto from how far away? Bull. * I dont think you can fire it from the shoulder, all the classes we got didnt mention it. I never saw it employed in that fashion always used the bipod. My unit only used it to at most 1100M. it works pretty good, but the buffer is made of a plastic that gets pretty beat up after awhile. maybe with SLAP ammo you could get that range. as to the 10,000 yrds i doubt most could even see that far in typical engagement scenarios with the issue optic(M3). Have you tried this test? It is designed to measure whether or not your "worldview" is rooted in the Bible. I'm afraid I didn't do very well -- they rated me as a "Secular Humanist" overall, but I did particularly badly in the science section, where I scored negative twelve percent ("Communist"). There are three things I particularly love about this test. 1) Every question has a "correct answer." Even the one about the Bible's opinion on a flat tax. 2) The correct answer is always either "strongly agree" or "strongly disagree." The test permits you to "tend to agree/disagree," or state that you have "no opinion." These answers, however, are always wrong. The Bible is perfectly clear on every topic. 3) You actually get double points taken off for stating that you have "no opinion" versus having exactly the wrong answer. If you say you "strongly disagree" with a statement they want you to "strongly agree" with, you lose half as many points as if you say you have no opinion at all. It is apparently better to be flat wrong and sure of it, than to entertain any uncertainty in your beliefs. This last accounts for my particularly hideous score in the science section. For example, I listed having "no opinion" on the question as to whether there was or was not evidence for a worldwide flood. Well, there is, in the form of narratives not only in the Bible but in every human culture; and there is also evidence against the proposition, in the form of geology. Does the one kind of evidence overwhelm the other, or do you remain open to the possibility that scientists may yet discover evidence to back the narrative? It wouldn't be the first time -- Homer's description of forms of armor used five hundred years before his birth proved to be perfectly accurate, and Troy was discovered after centuries of men believed that the whole thing was an untrue myth. It seems to me that the proper position is to recognize the evidence on both sides, favor the hard science because it's testable -- but with the provision that the other evidence does exist, and may someday be proven out. Well, that kind of open-mindedness is apparently the work of evil Commies. Now, I've been accused of a lot of things in my time, but being a Communist -- that's a first. Via the Dawn Patrol, I found Right Wing of the Gods' critique of a piece called "My Liberal Manifesto." The Manifesto itself is not that interesting because it does not examine the ideas it puts forward, but instead merely asserts them. The formula is "I believe X," period. The critique (which continues here) is much more interesting, because it explains the reasons behind why Dans, the author, agrees or disagrees with each position. As it stands, it is a very good explanation of a centrist-right libertarian's reasons for rejecting the leftist model. It would be a very useful exercise for someone who adheres to the original positions to explain why they think their positions are the stronger ones, addressing the particulars raised in the critique. The Enron scandal was primarily a story of executives and auditors deceiving investors about the true state of a business. If it was "greed" that caused the deception, it was greed that uncovered it as well. James Chanos, a money manager who specializes in short-selling (speculating that a stock's price will fall), got wind of Enron's shenanigans, and tipped off a reporter at Fortune. Enron was forced to restate its earnings and acknowledge hidden debts. Investors reacted with fury, dump-ing Enron stock. The company's worth declined from $30 billion to almost nothing. Before any indictment or government report, the market pronounced Enron guilty and imposed a sentence of capital punishment. Then longtime clients started punishing Arthur Andersen, Enron's auditor. Delta ended its 53-year relationship with the auditor, as did Merck and Freddie Mac. Andersen, and the executives who allowed it to stray, face oblivion. Enron used accounting gimmicks to hide debt and make corporate executives look good and earn fat bonuses. Congress does the same thing. Each year, it transfers vast sums of money from the Social Security and the Federal Highway trust funds to hide debt, and they boastfully lie to us saying they've not only balanced the budget but created a surplus. So what's the difference between Enron and the government? Enron doesn't exist anymore! Not because of government action, but because the people withdrew their support by selling their stock. Yet Washington has no such worry. That argument underlies his argument against worrying over government secrecy, which is in part two of the critique. What difference would that make? As my first post on this subject pointed out with Social Security, government corruption exists openly. The problem with corruption isn't so much that it's kept secret under "national security", it's that the people are oblivious to it even when it's not hidden from view. The corruption in government is made possible only because of the apathy of the people. The author goes on to state the argument from security in addition. Joel and I were just having that discussion, so I won't repeat it. I do think that the fellow raises an interesting point here, however: that it hardly matters if government corruption were exposed, as relatively few Americans care. It wouldn't make any difference if we knew. The argument hinges on the idea that Americans are prepared to accept corruption at a certain level, in order to avoid being bothered with stopping it. Political involvement of the type that can change Federal policies is hard work and lots of it, and there is no guarantee that you will achieve any success even if you invest that kind of time and work because there will be others organizing against you (look at MoveOn.org, for example; their endless fundraising and spending, organizing and politicing hasn't actually accomplished any of their goals). That kind of personal investment is something most people would rather not make, preferring to spend the time they have away from work on family or hobbies or other enjoyable activities. Because the activity is so engrained in our political culture, changing it requires a tremendous amount of energy -- not just electing a new representative, but changing the entire leadership of at least one of the houses of Congress. You could do that either by pressuring or replacing the current leadership of the party in power, so that they became devout on the question of not playing budgetary games; or by electing a new party into power. The first of these two is hard, as described above. The second is easier, but perhaps very expensive: if you disagree with the opposition party on important matters, you may very well choose to accept a certain number of bad things from the current party rather than replace them with a party that will turn the government in a direction you would dislike. The question is whether it would be the same with issues of moral corruption, rather than budgetary gamesmanship. The answer, I think, is that we would very much like to believe that it would not... but that there is probably a large zone of moral corruption issues where it would indeed be the same. I think there are some core, bedrock issues that Americans care about more than they care about their personal politics -- a government that openly banned the free exercise of religion, or ignored election results, would surely come in for serious trouble. On the other hand, we have seen internal pressure used effectively, for example in the case of the recent abortive Supreme Court nomination. Without rehashing the merits of that particular case, it does show that there are at least some issues that are important enough to draw popular revolt within a party. The composition of the Supreme Court is probably one of them for both parties; abortion is one for the Democratic Party. There probably aren't a lot of issues like this, though, because the parties are both coalitions of groups with similar but different interests and priorities. On the issues where those interests are largely aligned, the party isn't terribly likely to buck its base anyway. A revolt of this type is therefore only likely to happen on issues when the coalition is broadly united on a point, and the party leadership goes the other way. Why would they do that? Well, they might do it if it could be done in secret. There is a real difference between the calculation described above, which Dans calls apathy but which is really an understandable economic calculation, and the case of moral corruption in secret. In the one case, we as a people are making decisions about what we care about enough to invest our time and energy in. We are aware of the cost of trying to change things, and the cost of leaving them alone, and we are making a free choice. Even if Dans is correct that people would be apathetic on issues of moral corruption -- as I said, I think they might be on at least some of them, though there are bedrock issues that would draw revolt -- the "apathy" is itself an exercise of a free people. The evidence is all there; they can choose to look or not to look, to act or not to act. The nature of the Republic is preserved by this. In cases where corruption is secret -- and here I am not asserting that there is any secret corruption going on in the government, because of course I do not know -- the People can't perform their duty as citizens. They have no choice. They are prevented from being moral actors, because they are given no knowledge. To the degree that the government operates secretly, it ceases to be a government of the People. I am therefore moved to side with the liberal on this question, with the unfortunately large exception carved out by the argument from danger. Sadly, there are things that really do need to be secret. As Joel and I recently discussed, I think our national security could actually be improved by lessening secrecy and increasing distribution of sensitive information. But I do not argue that we can do that with all information. It is clear that we cannot. There really must be some secrecy for reasons of national security, and it would be irresponsible to argue otherwise. Dans may very well be right that sunshine would not prevent corruption, or at least not many kinds of corruption. Even if it did not, it would still be the right thing to do. It is right because it preserves the character of the Republic, and allows the People to be free and to choose. To the very greatest degree possible, then, we ought to pursue it. Lots of us bears around, apparently. But there is something that lies beneath all of that kindness, an agressive person that will kill if you have to. Yes, you love people, but if the mess with you too much then out comes the beast within. People that have experienced this side of you keep their distance. As of today, Drill Sergeant Rob is not a drill sergeant any more. He says the best part is getting rid of the Smoky Bear hat (or, "Montana bash," as the cowboys say). I can't agree, being a confirmed wearer of large hats, but good luck to a man who's been training our warriors for a long time now. He's getting a promotion, and a ticket to Fort Carson. MOVEON.ORG’S IGNORANCE OF AMERICAN SERVICEMEN EXPOSED IN REPUGNANT POLITICAL AD. Michelle Malkin has an excellent post about a shameful ad campaign that MoveOn.Org is using to attack President Bush and the war effort in Iraq. The ad proposes to show US troops eating Thanksgiving dinner in Iraq and then cuts to a scene of a weeping family gathered around a Thanksgiving dinner back in the states while the narrator asks why President Bush refuses to bring the troops home. However, in MoveOn.Org’s rush to use the stress and yearning of American military families to further their political propaganda they failed to notice that the troops they pictured in the ad are not even American. If you look at the soldiers pictured in the ad you will see that the camouflage pattern of their uniforms is a British pattern. Furthermore, US troops do not wear long khaki shorts as a uniform item. Apparently the charlatans at MoveOn.Org realized this and tried to doctor the picture. Hey MoveOn.org, if you can’t even identify an American soldier then at least have the decency to leave us, and our families, out of your propaganda! Cross posted at Southern Appeal. Balloon-Juice has a statement by General officer of Marines and Chairman of the Joint Chiefs of Staff Peter Pace on the topic of WP use in Fallujah. As Cole points out, Pace is willing to go to the mats even with Rumsfeld when he feels it matters -- as he has felt, on moral issues past. Uncle Jimbo, former Special Forces, has been hosting an extraordinary discussion of the issue of 'gays in the military' over at BlackFive. Part one is here, and part two is just getting started. It's been a very civil and well informed discussion, including comments from our own Joel Leggett. I think many of you might be interested in the debate. As the newest member of the Hall, I would like to thank Grim for inviting me in. I am surprised and pleased by the welcome I have received at the Hall. Surprised, because the doughty warriors who congregate here consider me their equal. Pleased because of my desire to join them in the war of words and ideas that they partake in every day. I have offered a seat as co-blogger to Talon "Wilde" Karrde, frequent commenter and wise young man. 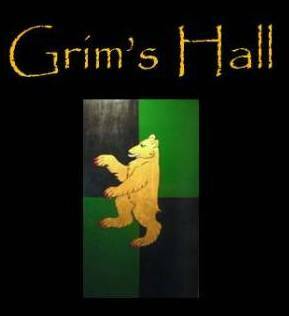 He is the first poster at Grim's Hall to lack a formal military background. Still, he is a "Man of the West," as Southern Appeal puts it: a mathematician, a thinker, and a man who is newly devoted to learning the arts of arms. That makes him something of a gentleman, I think we can all agree, and I have been impressed with the quality of his thinking and writing here. I welcome him to the Hall. Again, defeated by the firewall. Your concern with intelligence sharing between Federal, State, and local governments is a legitimate concern. However, I believe that programs such as the Department of Homeland Security’s Intelligence and Information sharing Initiative are constructive attempts to address your concerns. You can read about it here. I also believe that secrets in our republic should be at the most minimal level necessary to protect national security. However, I believe that current events have necessitated a greater degree of secrecy. We are not fighting against an enemy organized as a traditional nation state. We are fighting an increasingly sophisticated terror network bent not only on the destruction of our way of life but as many innocent civilians as possible. I will readily concede that our representatives do not always act in a manner befitting their station. However, I believe the recent vote to reject an immediate withdrawal from Iraq was a serious and important act. It certainly called out the cut-and-runners and sent a positive message. I would also offer up the example of the February 2001 Hart-Rudman Commission on National Security in the 21st Century as an example of some of the serious work our representatives are capable of that often don’t get the popular attention it deserves. That commission recognized that a direct attack on this nation is to be expected in the 21st century and that the risk was aggravated by the failure to share information. My point is that although our representatives don’t always act in the way we think is appropriate we should refrain from comments that come across as blanket attacks on the institution of the legislative branch of our government. As far as insurrection is concerned, while I acknowledge the possible theoretical necessity for it if a situation like that described in our Declaration of Independence ever arose I think the subject should be viewed like jury nullification; you can recognize its existence but it is never something that should be discussed lightly or even encouraged. I have no doubt that JarheadDad is an honorable patriotic citizen. Nevertheless, even when we rant we should be careful that our rhetoric does not go too far. That said, I readily admit that I have been guilty of that sin myself in the past. First of all, I am not troubled by the increase in secrecy in our government at this time. Since we are engaged in a war against militant Islam with troops in the field in Iraq, Afghanistan, and other places an increase in government secrecy is simply to be expected. Furthermore, I disagree with your claim that this increase somehow hampers national security by making the information harder to share. As someone who has held a Top Secret SCI clearance, I could share classified information with anyone who had the appropriate clearances and a need to know regardless of what agency they belonged to. I did this regularly with members of the DoD, DoJ, and Homeland Security. Consequently, I believe you are mistaken when you claim that the increase in classified information represents a threat to information sharing and national security. Unfortunately, the rest of your post utilizes an unnecessary degree of overstatement and hyperbolic claims. Under no circumstances would I actively seek to incite rebellion in my country even if I thought a cabal of evil men had usurped power. Instead, I would actively seek to expose them and have them brought to justice. Violent insurrection means wide scale bloodshed and death. I think it is reckless and irresponsible for you to suggest that such a course of action is appropriate even in the case you offer up as requiring it. However, such reckless talk leads to additional reckless talk. For instance, Jarheaddad makes the ridiculous claim that “we are nowhere close to being a democratic Republic any longer.” Oh really? Then I guess my entire 15 years of service in the Marine Corps has been based on a lie since it was entered into with my oath to uphold and defend the Constitution of the United States. Additionally, I would ask what JarheadDad thinks the service of his son is based on since he to took that same oath. If JarheadDad believes half of what he wrote, and agrees with your statement about when its is incumbent to rebel, he needs to convince his son to leave the Corps as soon as possible and join him in fomenting rebellion against our government. I will assure you that if I thought our republic as established by the Constitution no longer existed I would not spend one minuet more in the Corps than was absolutely necessary. 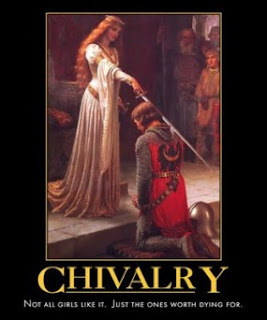 However, since I believe our Constitution is still in effect I will gladly remain bound to my oath. Words have meaning and ideas have consequences. That is why we need to reject such overblown rhetoric. It needlessly incites additional overblown rhetoric that in turn undermines confidence in our system of government that at best only creates disaffection and at worst inspires people like Timothy McVeigh. The LA Times has the story of Colonel Ted Westhusing, suicide. The reporter cites a psychologist and some witnesses to suggest that the Colonel killed himself because he was troubled by the role of USIS contractors in Iraq. About 1 p.m., a USIS manager went looking for Westhusing because he was scheduled for a ride back to the Green Zone. After getting no answer, the manager returned about 15 minutes later. Another USIS employee peeked through a window. He saw Westhusing lying on the floor in a pool of blood. A shell casing in the room bore markings indicating it had been fired from his service revolver. Revolvers don't throw casings. Furthermore, the Army doesn't issue "service revolvers." That's two very obvious details that should have made the editor question just how certain the reporter was about the facts of the crime scene. Apparently, the editor didn't notice. How many more details are gotten wrong through simple sloppiness of reporting? That one is obvious; how many more mistakes did he make that aren't obvious? Enough to clear the suspicion the reporter allows bereaved family members to place on USIS contractors? Enough that the correct details would extend suspicion elsewhere? Unfortunately, war is hard on men and suicides dog every military undertaking. War can seem like madness at times. Is this a tragedy of that sort? A three month investigation ruled that it was. The reporter appears to want to suggest otherwise. Before he's allowed to do so, he'd better get his facts straight. Joe Lieberman, who should have been forwarded as last year's candidate for President from the Democratic primaries, has a piece in Opinion Journal. The occasion is his return from his fourth trip to Iraq. He reports military and economic progress in extraordinary quantities, and praises our soldiers and Marines. I still don't understand where the sudden calls for withdrawal are coming from. Now, of any point since the fall of Baghdad to the Coalition, is surely the time for robust confidence. What is the cause for the decline of confidence? It doesn't make any sense. Civility is getting harder to find, as Eric pointed out in the comments to the post two down from here. Consider this post from Balloon Juice, which asserts that a certain blogger who shall not be named here is a traitor to his country. The discussion in the comments, while it is no more productive that you'd expect given such a hearty starting point for the debate, is nevertheless marked by points of civility. In particular, John Cole and Kimmitt discuss the issue well, though they don't achieve any sort of resolution. Still, it's a remarkably civilized debate given that it begins with accusations of treason. The question is whether it is proper to have a civilized debate that begins with accusations of treason. Treason is, after all, a capital crime: if you declare in seriousness that you believe another man to be a traitor, you are calling for his death. That is not something to do lightly. In fact, it ought only to be done in deadly earnest: that is, you should really intend to see the man dead, to further his prosecution to the very point of the gallows. If you do not feel that way, you ought not to raise the charge. And if you do, what is left to discuss? We are coming to that binary breaking point on a number of questions. The President is accused by some of such things that, if the charges are believed, demand more than rhetoric or the organizing of a better electoral strategy for next year or three years on. The administration has occasionally been accused of fixing votes, including the 2000 election by which it came to power. The US military is accused -- here by Kimmitt, who is trying to be rational, and who is not defending the fellow accused of treason -- of operating "a network of illegal torture facilities scattered around the world!" "Our Administration kidnaps, tortures, and kills people without oversight," he continues. If you believe that, and especially if you believe all of it, are you not called to more than blogging? To more than political donations, or organizing? To more than another empty protest march, so common and toothless that they may as well not happen at all? I don't see how anyone could believe those charges, watch the ineffectiveness of the protest movements and political opposition, and not plot insurrection. It would seem both logical and reasonable. I support Congressional investigations when they come up, if only because that kind of oversight is the only hope we have of avoiding what otherwise appears to be a civil war in the making. Yet even that requires some faith in the institutions, which is increasingly absent and may be deservedly absent. The Senate Select Committee on Intelligence, for example, issued its report on prewar intelligence which all but cleared the administration. The Committee is then accused of rolling over to protect them. Is the accusation fair? Well, to be honest, none of us know: but the Senate's behavior on other occasions hardly inspires confidence. I can't think of a single time in the last year or so that I've looked upon the Senate, or most any Senator, and been proud of them or moved to confidence in their honesty and probity. Not since Zell Miller retired -- whether you liked or hated him, at least you knew he gave it to you as he saw it. Is there even one Senator you trust like that now? I can't think of one. If the Senate Select Committee issues another report, as they are said to be preparing to do, and it also appears to give the administration a pass -- will that be enough? Why should it be? What has the Senate done to show us that its judgment is worth heeding? I believe that the Administration is not guilty of secret plots to manipulate intelligence, but I wouldn't trust the Senate if they said it even though I believed it already. Who will we trust, then? And when we get to the point that the answer is "No one," what are we to do with a government that increasingly operates in secret? Classification activity increased 25% in 2003 alone. These increases come in the very sectors where the nation's interests are most closely touched, and where conspiracy theories are most likely to arise. If the Senate isn't trusted to perform its oversight role -- and I think it is only an honest opinion that they ought to do a whole lot more to prove they are worthy of trust -- what then? What then, as far as I can tell, is this: those who believe that the government has been overrun by conspirators will be forced to more serious action than organization. I think they will be morally forced to it; if they really believe the charges they raise and further, they ought to be engaged in it. If I believed in those charges, I would be myself. 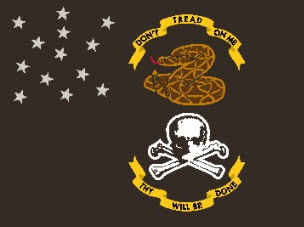 A patriot ought to be ready to reject, by the faith of his body, the rise of tyranny in the heart of the Republic. Insofar as that happens, those of us who do not believe the charges will be forced to defend the government. The fact that the Senate is filled with faithless politicians does not change the fact that they were duly elected. Many of us have taken oaths, and others who have not formally sworn the oaths believe in them anyway. We will do what our oaths require. The only hope for avoiding that, I honestly believe, lies in peeling back the secrecy at least enough that we can regain confidence in the oversight. We need to be able to verify enough of the details that the Senate's pronouncements are able to be confirmed. National security still requires some secrets, but we must make sure that declassification of secrets that are no longer critical becomes a national priority. It would help, too, if we started electing leaders whose character we admired rather than whose connections to political machines were overwhelming. Perhaps blogs can help with that, by getting the word out for smaller candidates who aren't as tied-in to the machines. Civility is more necessary than ever, if we are to have that kind of achievement. We need to be able to talk across the aisle, so that we can work together to demand of our politicians the things they don't apparently feel obligated to provide on their own: an accounting of their behavior. If at last we can no longer trust them to watch one another, we must be united in demanding that they present themselves to us. I will gladly support forcing "my" politicians to present such an accounting, if the folks on the other side will do the same for theirs. I enjoyed my outing with the little Snake Slayer so much that I took some time today to go back to the range. I bought a box of Winchester cartridges and worked my way through about half of it, amid some other shooting. After about a dozen rounds, I found I was starting to be able to cluster my shots in the five-six ring, down and right of center. That normally means you are tightening your grip during the discharge. Perfectly understandable, when firing a beast like this little thing! I concentrated on not doing that, and blew out the center of the target with the last two shots. Can I do that every time? I'm looking forward to finding out. Still, I think with practice that it's possible to achieve real marksmanship with these derringers. It would appear that all of my favorite liberal bloggers have gone inactive. Sovay keeps intending to get back to it, but hasn't time. Lizard Queen has vanished; I hope she is doing well. KGC abandoned his blog about a year ago. Deuddersun hasn't been heard from in months. With that in mind, I'd like to ask readers to suggest new liberal blogs, both for the links but also just to read on occasion. I know who the top liberal bloggers are, but I'm no more interested in the top liberal blogs than I am in the top conservative ones. This is for the reasons we discussed a few days ago: what I want are people who are comfortable with disagreement, who enjoy exploring ideas, and who will be happy to entertain polite challenges, and issue the same. Because such places tend to be smaller, they're harder to find. If you know of any, please leave a comment.